Thousands of years ago—before incense, gongs and mala beads—people meditated to slow down the mind and center themselves. Today, people all around the world meditate. Why the interest? Meditation is transformative and benefits the body, mind, heart and spirit. 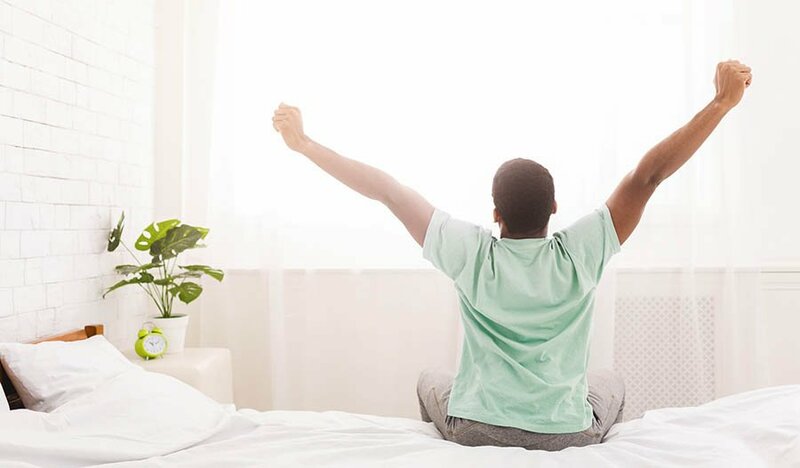 As Deepak Chopra explains, “It’s a way of entering into the quiet that’s already there—buried under the 50,000 thoughts the average person thinks every day.” Here are some of the ways that meditation can improve health. Stress (the response to threat), anxiety (worry about the future) and depression (regretting the past) undermine health and happiness. When unaddressed, they increase the risk of physical problems including headaches, heart disease, diabetes, obesity, skin rashes and insomnia. Meditation, particularly mindfulness or insight meditation (which entails sitting comfortably and focusing on the breath and the present moment) improves mental health because practitioners learn to still the mind and let go of worrisome, stressful thoughts. Over time meditation literally changes the structure of the brain (a phenomenon called neuroplasticity), increasing concentration, peace and productivity even in the midst of challenges and chaos. 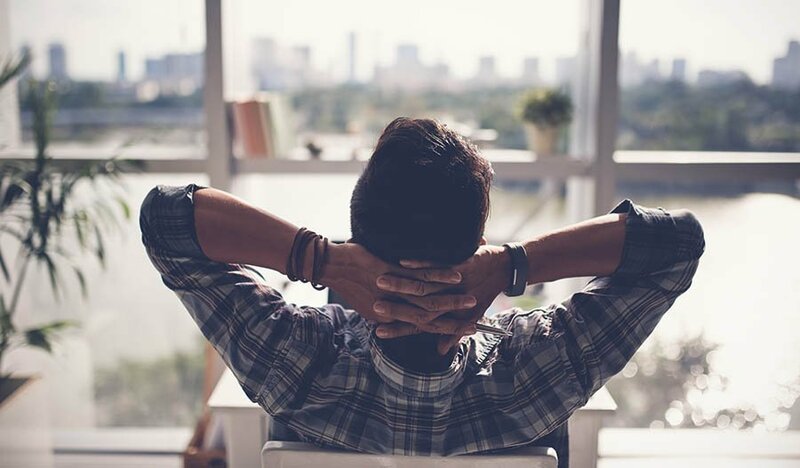 A study published in Psychiatry Research found that patients with an anxiety disorder who took a mindfulness meditation class experienced a decrease in stress-hormones and inflammatory responses to a stressful situation. Research with breast cancer survivors showed learning mindfulness techniques improved stress symptoms and quality of life. Certain supplements and essential oils can also be used to decrease stress, anxiety and depression. Good choices include: St. John’s Wort (prescribed in Germany for moderate depression), valerian root and L-theanine, an extract from green tea that increases GABA and dopamine. Two classes of herbs, nervines and adaptogens, calm the nervous system or enable the body to adapt to stress. Excellent nervines include lavender, lemon balm, kava kava and skullcap. For adaptogens enjoy a cup of Holy Basil/Tulsi tea before meditating. Stress, smoking, being overweight or sedentary, and excess salt or alcohol can all contribute to high blood pressure. In contrast, meditation can help lower levels. The effect is so powerful that The American Heart Association recommends meditation as a complementary therapy to standard treatments for hypertension. While stress elicits the “fight or flight” response, meditation triggers an opposite effect called the relaxation response. During this state of deep relaxation pulse rates drop and levels of nitric oxide, a molecule that widens and relaxes blood vessels, increases. To further increase nitric oxide production, try consuming dark chocolate, pistachio nuts and the amino acids L-Arginine and L-Citrulline. 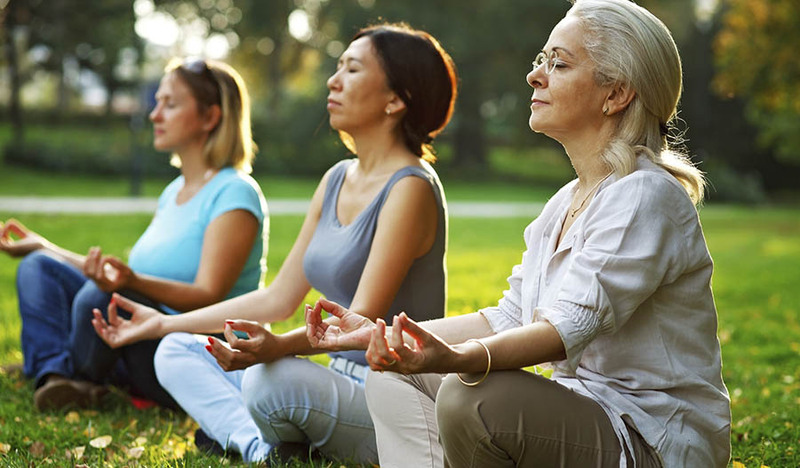 A review of mind-body therapies (meditation, yoga and tai chi) found alternative therapies may ease perimenopause symptom including hot flashes, moodiness, muscle pain and insomnia. Eating soy foods and flaxseed, consuming the herbs black cohosh or dong quai or taking a vitamin E supplement may also help. Several small studies suggest that meditation may reduce cravings and help people stop smoking. Meditation can make you more aware of your habits, improving self-control and inducing relaxation so you don’t light a cigarette to unwind. Taking GABA, a neurotransmitter that calms the nervous system, can also support smoking cessation. According to the Centers of Disease Control, 1 in 12 people has asthma, a condition causing inflammation and constriction of the bronchial tubes that makes breathing difficult and undermines quality of life. While meditation may not stop an asthmatic episode, it can reduce the fear and anxiety associated with attacks and lower stress hormone levels so the symptoms are less severe. 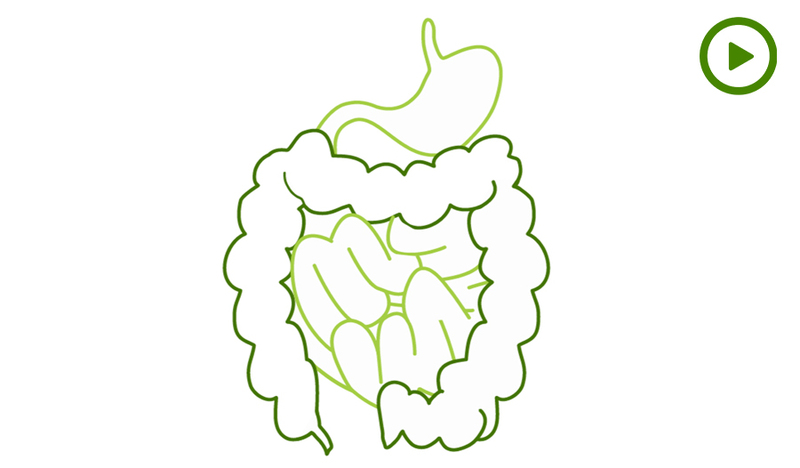 Taking prebiotics, such as Galacto-oligosaccharides, and probiotics may also be beneficial. Approximately 100 million American adults are impacted by chronic pain including joint pain and arthritis. Chronic pain management is difficult, particularly without the use of opiates, a type of narcotic that’s easily abused. Meditation, by changing brain patterns associated with discomfort, can help reduce pain intensity and restore wellbeing. Even beginning meditators, by learning to relax and control the mind’s reaction to pain, can experience relief. Physical therapy and the supplements turmeric, white willow bark, capsicum and devil’s claw are other natural chronic pain remedies. By reducing stress, the leading trigger for migraines, meditation can help lessen headaches. One study published in the journal Headache found that people who took part in an 8-week Mindfulness-Based Stress Reduction (MBSR) program experienced 1.4 fewer migraines per a month and a decrease in headache duration and disability. Not only does meditation decrease emotional eating by soothing stress, it helps regulate metabolism and balance the body and mind making weight maintenance easier. Plus, meditation can reduce cortisol, a hormone that triggers appetite and the accumulation of body fat, especially around the waistline. Regular practice can help you eat more mindfully (i.e. with awareness), positively impacting weight, health and your relationship with food. Chen KW, Berger CC, Manheimer E, et al. Meditative therapies for reducing anxiety: a systematic review and meta-analysis of randomized controlled trials. Depression and Anxiety.2012;29(7):545–562.